Bathroom Specs single vanity, bidet, tiled shower featuring Kohler's overhead WaterTile rain shower + side bodyspray fixture, and a jacuzzi bathtub for two. 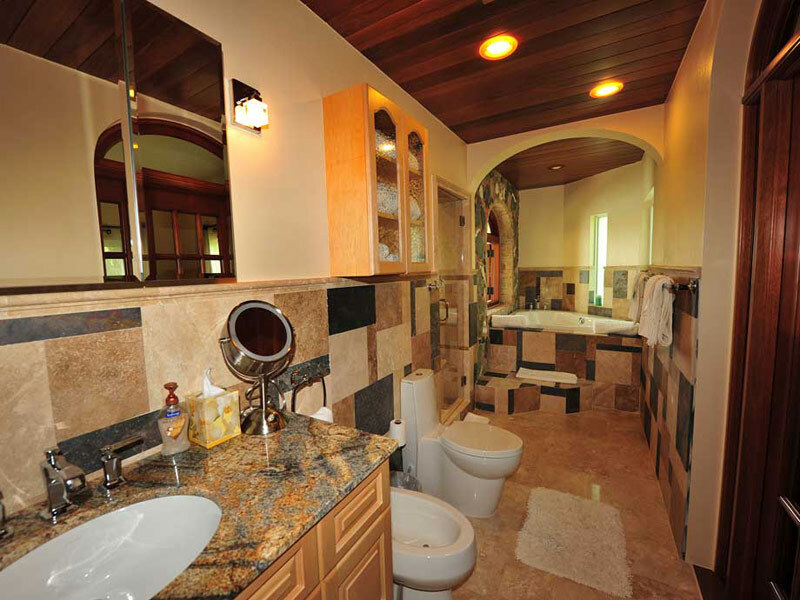 Also, a convenient poolside powder room and shower are available to all Seashore Allure guests. Pool Specs waterfront pool (irregular shape, approx. 15' x 30 x 4' to 6' deep) with sun terrace + entertainment pavilion with gas grill + satellite TV for all guests. Hot tub + lounge area on top floor for all guests. 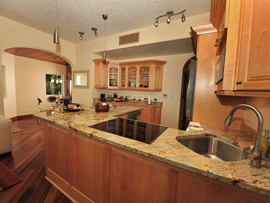 Square Footage Interior: 770 + Exterior: 131 = TOTAL: 901 sq. 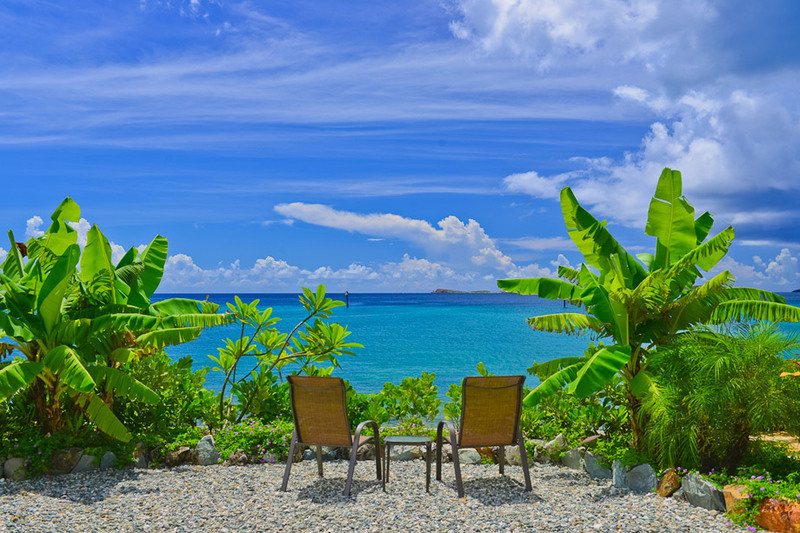 ft.
From its dramatic waterfront location on Turner Bay, Seashore Allure enjoys breathtaking ocean views dotted with the green islands of Little and Great St. James in the blue distance. Gentle waves whisper on the pebble beach, rippling in from the crystal-clear bay. 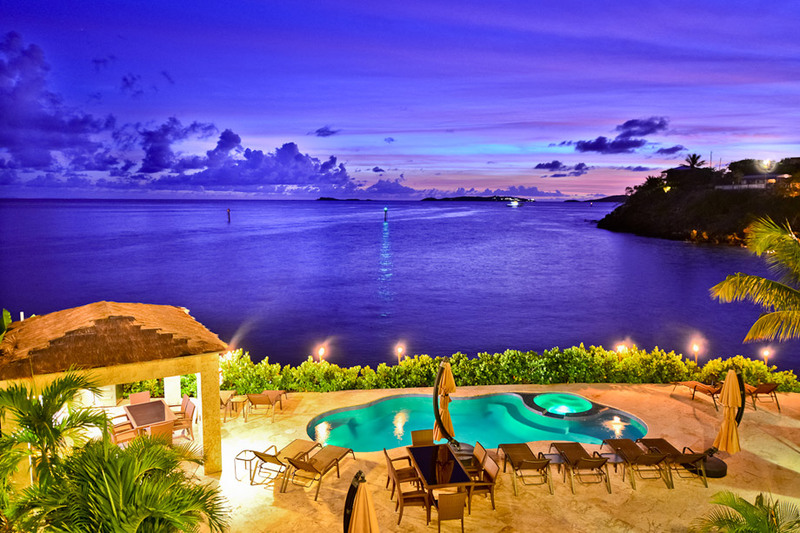 Located on the outskirts of Cruz Bay, Seashore Allure is a luxurious but small and intimate complex offering just eight stunning, soundproofed condo units. 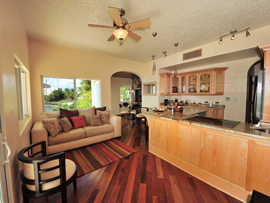 Situated side-by-side on Seashore Allure's main level are four stylish one-bedroom units, all with central air-conditioning and fabulous king bedroom/bath suites. 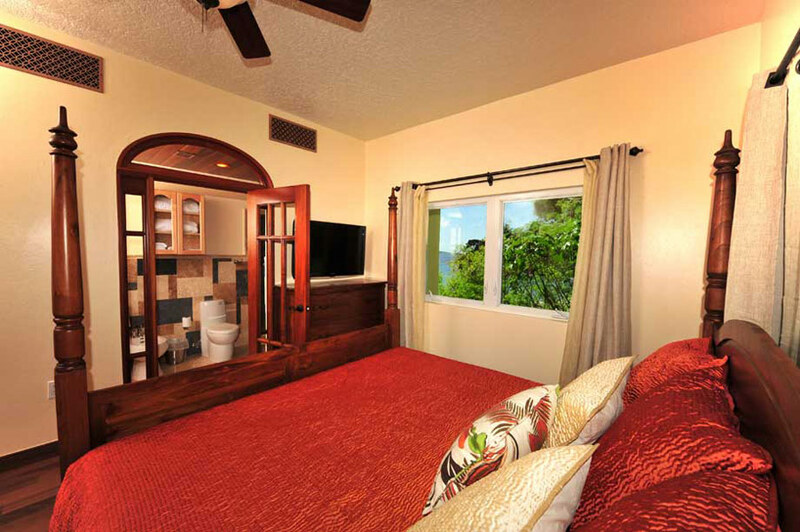 This end-unit condo, a one bedroom, also has a romantic jacuzzi bathtub. Brazilian hardwood flooring and maple cabinetry set the stage for elegant and modern furnishings, artistic lighting and its excellent floorplan. The fully-equipped sleek kitchen features a glass cooktop, stainless steel appliances, and has just about everything you might need to whip up a meal or snack. 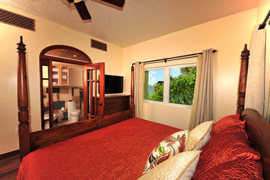 The king bedroom and ensuite bath invite romance and relaxation in luxe style. The sink-into four-poster king bed is canopied. The adjoining bath is beautifully laid out in travertine tile with granite countertops. The bath offers a magnifying mirror, a bidet, and both an ample shower (with a rain shower inset into the ceiling and bodyspray shower on the side) and an enclosed jacuzzi tub for two with an arched window. 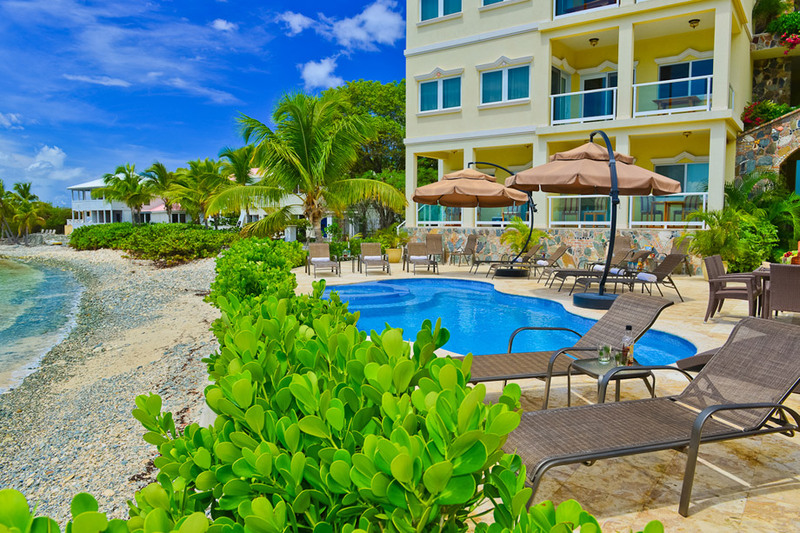 Step outside to your private verandah set with comfortable seating; it borders the entire front of your unit and overlooks the pool area and Turner Bay. 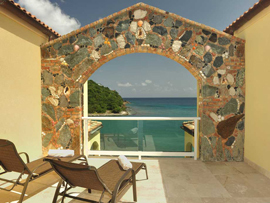 The verandah's clear tempered glass half-walls allow you uninterrupted vistas from your shady private spot, just perfect for reading, admiring the ocean view, or for evening cocktails. 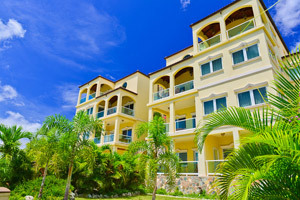 Should your friends wish to have their own accommodations, they can rent the unit right next door, and with your advance request, you'll get a key to the door connecting both private verandahs so you can visit each other freely. Steps from your door is Seashore Allure's convivial pool and entertainment area, where all guests are welcome to hang out. 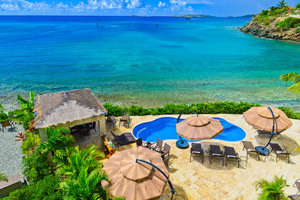 The marine-blue pool, set into a coralstone terrace, gets sun all day long. 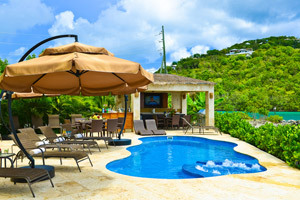 Nearby is a thatched pavilion which offers a shaded area with a gas grill and a 46-inch satellite TV, and there are tables for alfresco dining. There's also a convenient powder room and shower. At the very top of Seashore Allure is a spiral staircase which leads up to a partially-roofed patio and the complex's large hot tub and lounge area. 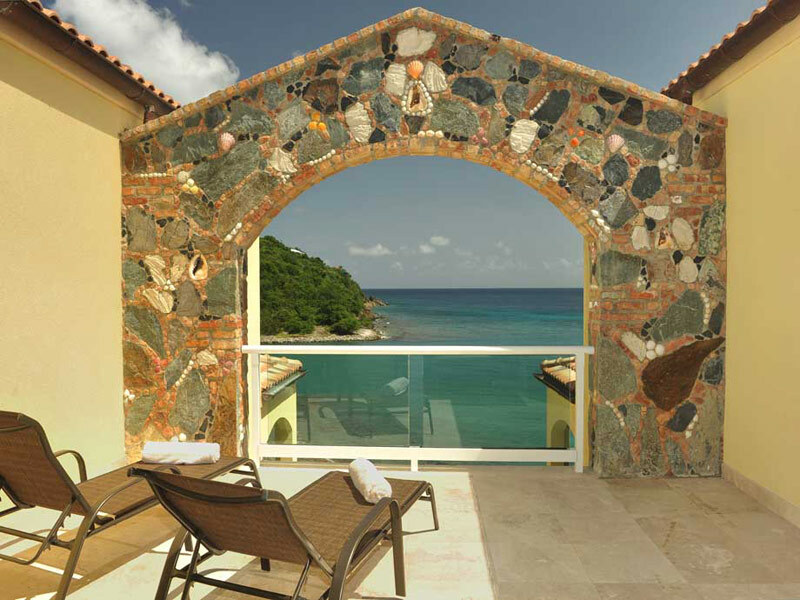 A stone archway frames the picture-perfect ocean view seen from this level. On the premises is also the condo office, where you can do your laundry, get information and assistance, and use the printer to print out your boarding passes. These are beautifully-executed residences. 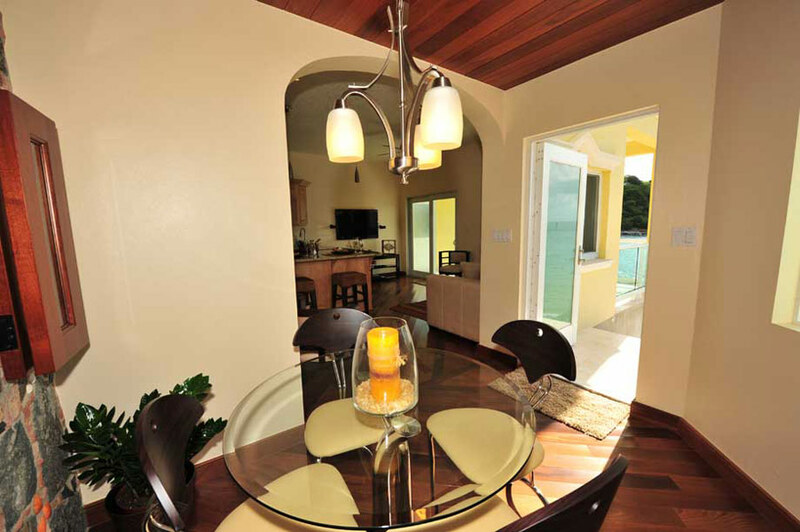 With travertine tile, the creative use of exotic warm woods, St. John-style classic stone and shellwork accent walls, tasteful decor and the latest lighting, appliances and electronics, Seashore Allure is exceedingly polished and sophisticated, and sure to please its fortunate guests. A flat walking path from Seashore Allure takes you through a local neighborhood and a nature preserve into Cruz Bay in about 10 minutes, for shopping, dining, bars and nightlife (or drive into Cruz Bay in 2 minutes). And it's only a short drive to St. John's spectacular National Park beaches. 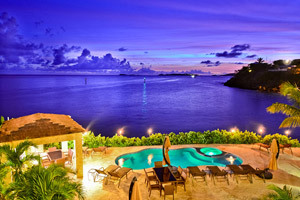 Seashore Allure is an excellent choice for your Virgin Islands vacation and for honeymooners, young and old! Very highly recommended. Dish Network TV (a 46-inch flat-screen TV) with Blu-Ray DVD player + iPod dock in living area, surround-sound speakers, radio, DVD movie collection, books, games + puzzles; full A/C throughout villa; Wi-Fi for your laptop, answering machine; spa bathrobes, hair dryer + complimentary bathroom toiletries; safe for valuables; cooler for the beach; UV water purification system; dishwasher. 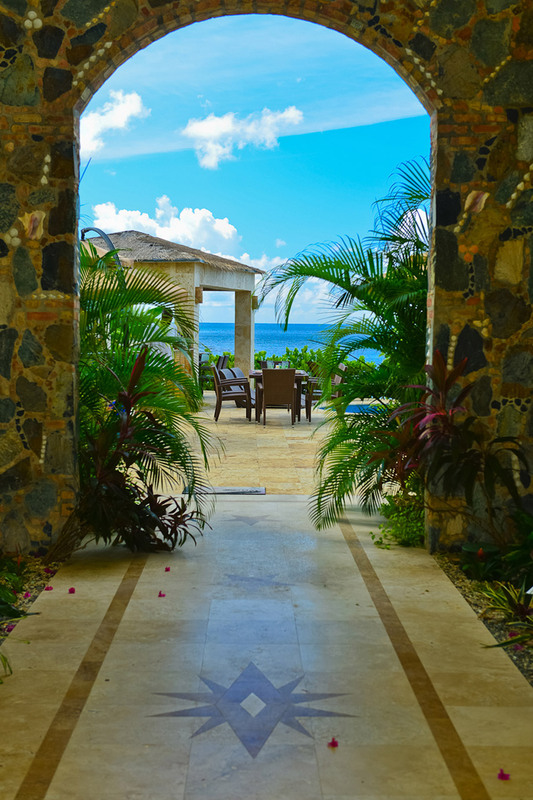 Private verandah. Parking for rental cars + an electronic security gate with locked after-hours pedestrian entry gate at Seashore Allure's entrance. On waterfront terrace, for all guests' use: swimming pool, chaise lounges, thatched pavilion with gas grill + 46-inch flat screen satellite TV; alfresco dining and a powder room. 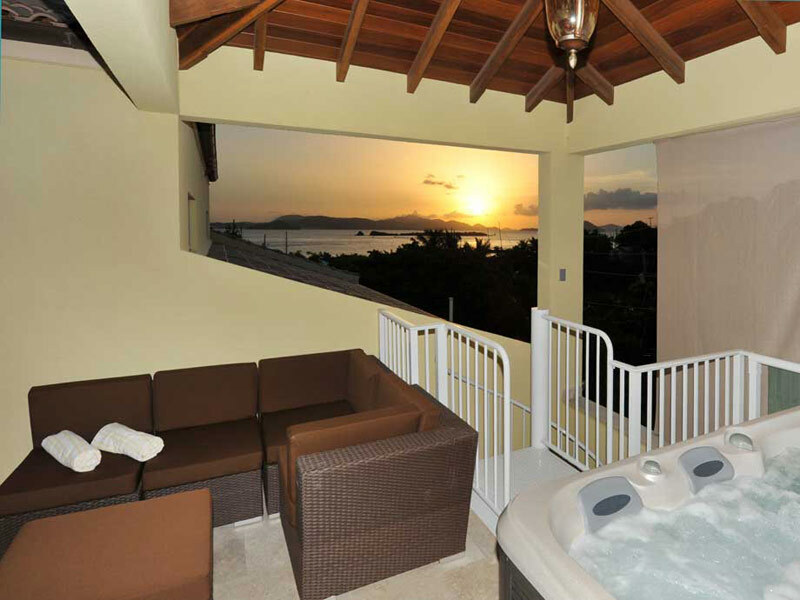 Rooftop: Large hot tub and lounge area with ocean view. In condo office (open 9-5): washer + dryer, printer. 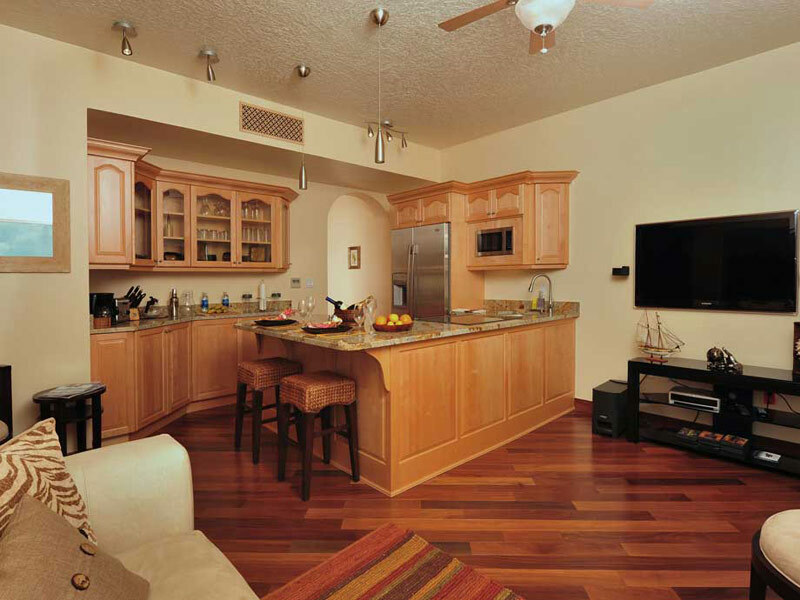 Please note that the management of Seashore Allure reserves the right to select which of the two 1-bedroom units you will occupy - both units are equal in size, amenities and furnishings.